The Saudi-led coalition said it carried out the deadly attack. 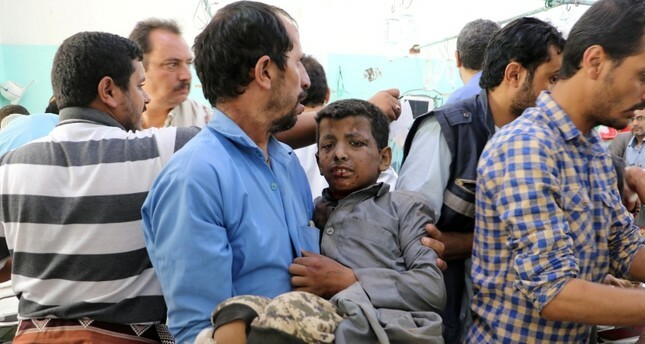 In a statement carried by the official Saudi Press Agency, the coalition called the strike a "legitimate military action" that targeted elements responsible for a rebel missile attack on the Saudi city of Jizan on Wednesday. Most of those killed were under 15 years old, said Youssef al-Hadri, a spokesman for the Houthi-controlled Health Ministry. Residents said the bus had been carrying students heading to a summer school when the strike hit near Dahyan market in Saada, which is a rebel stronghold near the Saudi border. According to Yemeni elders, the attack took place in the Dahyan market in Saada province, a Houthi stronghold. The province lies along the border with Saudi Arabia. The bus was ferrying local civilians, including many school children, they said, speaking on condition of anonymity for fear of reprisals. Al-Malki insisted Thursday's attack in Saada was carried out "in accordance with international and humanitarian law and customs."